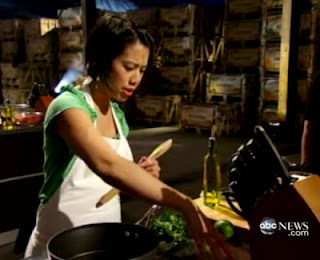 Congratulations to Christine Ha, who is the winner on season three of MasterChef, a cooking competition series on FOX. What's different about this cook? She's blind. Christine was diagnosed in 2003 with a rare autoimmune disease called Neuromyelitis Optica and lost her vision over the next eight years. Although she can see shadows, she describes it as "eternally walking through a cloud." But it didn't stop her. She overcame her challenges and went on to become a writer and MasterChef. If she can do it, so can you! You can read more about Christine and her cooking adventures on her blog, The Blind Cook. What's happening at the OCB Convention? TCB is now on Facebook! Blindspot - Is this the future of the White Cane?